BERLIN – August 30, 2018 HARMAN International, a wholly-owned subsidiary of Samsung focused on connected technologies for automotive, consumer and enterprise markets has commissioned an in-depth consumer research study1 on the how and why of contemporary listening habits as well as the benefits of listening to music. The study’s results confirm the positive effects of focused listening and show the extent to which modern listeners desire to not only listen more, but to listen better. In today’s fast-paced lifestyle and ever-changing sonic environment, much of what people hear is more noise than it is sound: appliances, machines, traffic, construction, sirens… The European Union has estimated that ambient city noise is responsible for lowering the quality of life of 25% of those living in Europe. But the problem is a universal one: amid the cacophony of everyday life, are people losing the ability to listen? 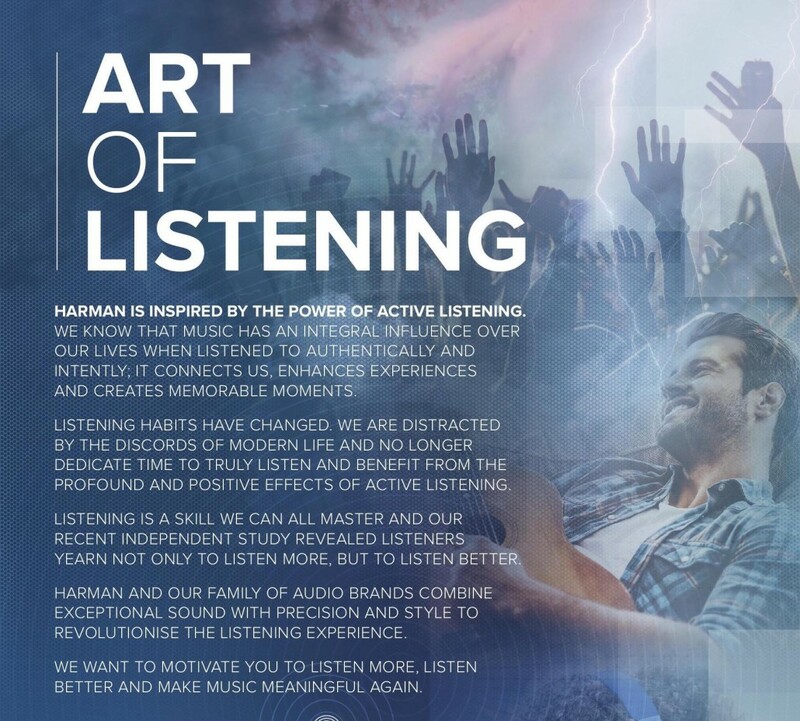 Helping people fully appreciate the power of music is an essential part of what HARMAN stands for—and that begins with raising awareness of the importance of conscious listening. For over 70 years, HARMAN has been delivering exceptional sound in the studio and on the stage, at home and on the go through a portfolio of legendary audio brands that keep pace with today’s lifestyle, providing people with the highest quality listening experience possible and ensuring the time they spend listening is the most gratifying it can be. 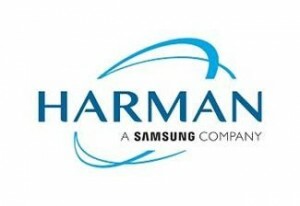 “HARMAN understands the positive effects of active listening and has dedicated its legacy to it. When done consciously, listening has clear, quantifiable effects on the listener, many of which are profoundly beneficial. Active listening centres us in the moment, enhances our connections with others, and enables us to appreciate what we hear. We should all want to become better listeners,” said Michael Mauser, President, Lifestyle Audio at HARMAN. Music is not just background noise; listening to music is extremely important to people. Over 70% of listeners across the US, the UK, France, and Germany reported listening to music on a daily basis. For 44% of respondents, music is viewed as a necessity in their everyday lives, while over half see music as a pleasurable option—an impressive total of 94%. Modern listeners are short on time, always on the move, and prone to multi-tasking. Their fractured listening habits reflect the pace of the modern lifestyle. Listening to an album from start to finish has been replaced by an impatient “snacking” approach in which listeners skip from track to track. Almost 70% of respondents reported listening to single tracks either selected individually or in a compilation, while 38% of respondents said they need less than one minute when listening to a track for the first time to decide whether or not they like it. Connectivity, portability, and the web have revolutionised listening habits; never before has so much music been so readily available. And yet, despite the unprecedented accessibility to music, many listeners yearn for more: more peace, more freedom from the rush of modern life, more “me time” to experience music undisturbed. Around 40% of respondents said that they used to spend more time listening to music than they do now, and 66% plan to dedicate more time to listening to music in the next 12 months. Music has proven physiological, psychological, and cognitive benefits: 65% of respondents said that music makes them feel happy; 57% said that it makes them feel more positive. Music strengthens social bonds: close to 70% of respondents agree that music helps relax the atmosphere while socialising. Music helps listeners to connect with themselves and others: 62% of the sample overall agreed that music helps them to connect with their inner self, while close to 50% agreed that music helps them connect with their family. Music can improve productivity as well: of those who agreed that listening to music at work could help improve performance, 53% said it kept them stimulated, while just over a third said they feel more motivated to perform better at work. Despite the frenzy of today’s high-speed, connected lifestyle, people can learn to move from passive hearing to conscious listening—an active process that involves true presence. Some people are born with a “musical ear,” while for others it is a process of gradual comprehension and familiarisation. Having better audio equipment can create a marked difference in how music is enjoyed: at least 4 in 10 respondents believe that using good audio equipment would motivate their passion for listening. Not everyone feels they are getting the most out of their music: almost 3 in 10 respondents feel they are not. Having sharper sound from their device was the most frequently mentioned factor that could help enhance respondents’ listening experience (USA: 62%, UK: 54%, France: 51%, Germany: 39%). Many people would be willing to pay for an improved sound experience. Respondents would be most willing to pay more for “crystal clear sound,” followed by “immersive surround sound,” with 48% and 46% respectively providing a rating of 8 or higher (on a scale of 1-10). When thinking about the sound experience respondents desired, authentic sound emerged as the most important factor. 1 The Harman Art of Listening Consumer Research study was conducted by FutureSource Consulting Ltd in July 2018. A total of 5,073 interviews were carried out online in France, Germany, the UK, and the US. The breakdown of interviews was as follows: 1,027 in France, 1,020 in Germany, 999 in the UK, and 2,027 in the US. All questionnaires were localised to the country and conducted in the local language.